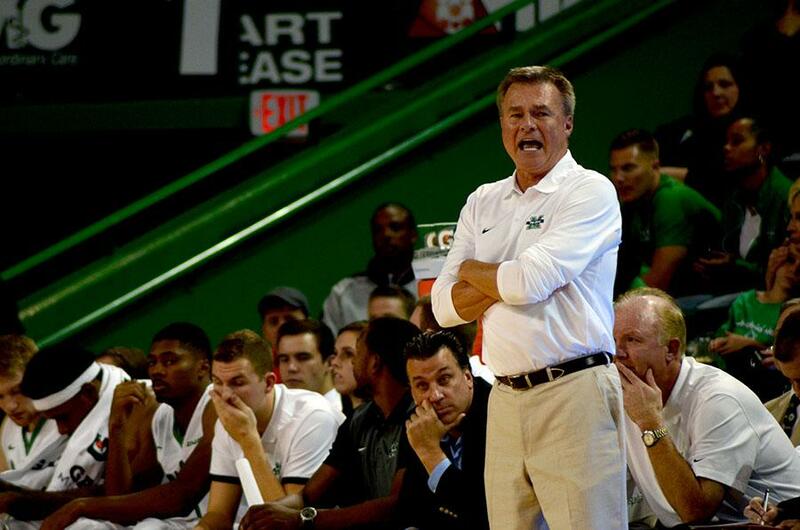 Marshall head coach Dan D’Antoni watches over his team during a game earlier this season. 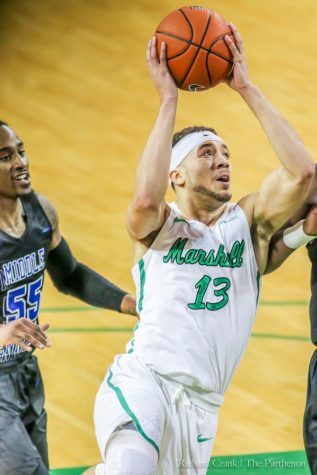 The Marshall University men’s basketball team kept one of its two historical streaks alive Thursday night. 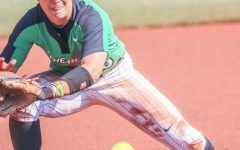 However, it relinquished its grasp on the more meaningful of the pair in its 103-95 loss to the University of North Carolina at Charlotte. 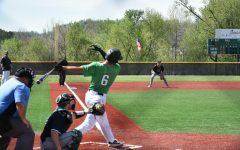 The Herd exceeded the 90-point mark for the sixth straight game but saw its five-game win streak to start conference play snapped. 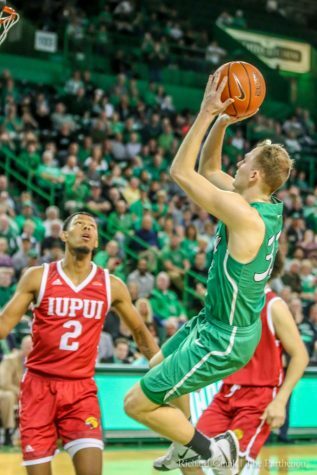 In the high-scoring affair, sophomore guard Jon Elmore continued his seasonal improvement, scoring a career-high 27 points on 8-16 shooting, including a 5-8 mark from 3-point range. 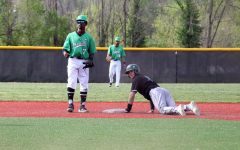 Elmore added three rebounds and three assists. 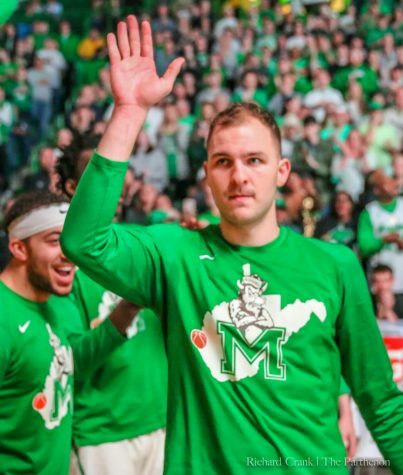 Forward James Kelly nearly matched Elmore’s point production, scoring 25 on 11-20 field goals, while also grabbing a team-high 13 rebounds to achieve another double-double. 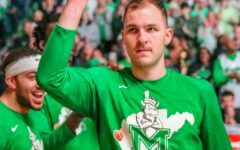 However, on a night in which the Herd shot 53.6 percent from the field and 46.2 percent from the 3-point line as a team, the defense allowed Charlotte to outdo the performance. The 49ers shot 51.5 percent for the game and a blistering 66.7 percent from 3-point range, going 10-15 from beyond the arc. Freshman guard Adrien White was the catalyst of the 49ers’ 3-point barrage, knocking down eight of his nine attempts from the perimeter en route to his 30-point, 10-rebound effort. 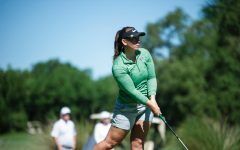 In a similar vein to the Herd’s offensive production, the 49ers’ efficient scoring night fell on the shoulders of more than a single player. Senior center Joseph Ochebo posted a rare 20-20 game in the collegiate ranks, scoring 24 points and pulling down 21 rebounds, eight of which came on the offensive end. 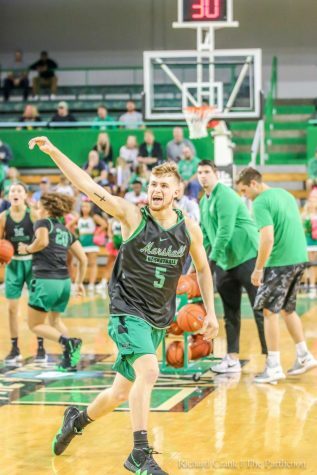 Charlotee Freshman guard Jon Davis totaled 21 points on 80 percent shooting while also snatching six rebounds to go with his game-high seven assists. 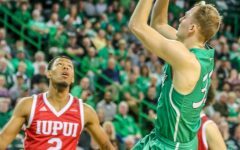 Although the teams posted similar shooting numbers, the 49ers handed the Herd its first conference loss of the season due to its presence on the offensive glass and ability to get to the free throw line. 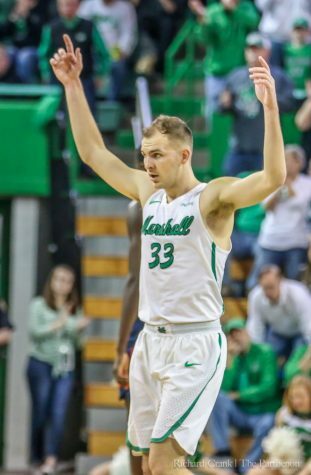 Charlotte, buoyed by Ochebo, snared 12 offensive rebounds to Marshall’s three. 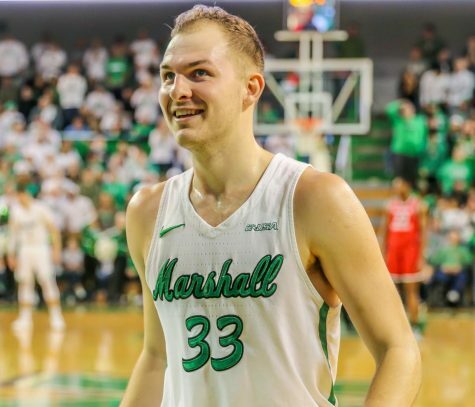 Also, the 49ers earned 29 free throw attempts, converting on 23 of them, while the Herd made only 14 trips to the charity stripe. 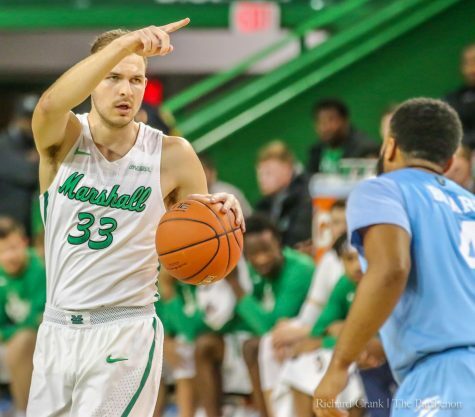 Marshall will go on the road for its next contest against Old Dominion University 2 p.m. Saturday. 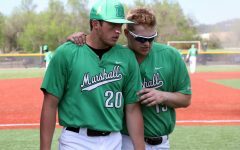 The game will be the final of the Herd’s four-game road trip.